Why Do Concrete Slabs Sink? 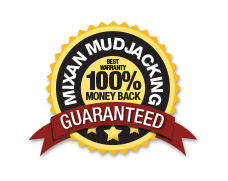 | Mixan Mudjacking Inc.
Why Do Concrete Slabs Sink? Concrete slabs require a hard and compact soil for a foundation to hold it in place! To get the best impaction possible. The soil should be compacted in layers. This requires special equipment called a jumping jack or sheep's foot and the soil should be free from debris such as sticks. Construction waste, anything that would break down in time. Typical compaction goes something like this during the building and grading process. These soils are dropped in place by machinery, the operator drops the bucket to push the soil down and rolls over it several times to compact it. It may also be left exposed until it has rained on it helping to compact. 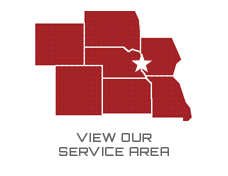 Since this larger equipment is operating near newly poured block walls or poured foundations, care is given to not hit or damage the walls and in doing this, usually there is no compacted soil 1 to 3 feet from walls leading unpacked soil that will settle over time. If the soil was not fully and properly compacted, then over time. Mother Nature takes over with gravity and the weight of the slab, steps or stoop. The soil starts settling if water comes in contact with incompact soil. It will compact much faster and will result in a void under concrete (water is the best compaction). Some areas such as inside retaining walls, and under garage floors may have up to 10 to 15 feet of back fill the front stoop and steps could have 1- 2 foot plus feet of back fill depending on how tall the basement or foundation wall is and layout of lot. The settling of soil can be immediate, or it can take up to 10 years to compact properly. Even if the slab has wire mesh and/or rebar inside. This will only buy it some time rebar and wire mesh will help concrete stay together longer, but all concrete can crack with or with out rebar or mesh as these are put in concrete to hold it together when it does crack. I have seen rebar break and rust in concrete over time; these materials do break down over time. If the ground is going to settle or wash out eventually with the weight of the slab and vehicle traffic, it will start to sink or crack up.